Detailed information about Hotel Malerhaus on PensionHotel. You will find the hotel description, prices, location, number of beds, available services, attractions. The hotel can be booked directly through the contacts or use the booking form. Before booking see availability Hotel Malerhaus. 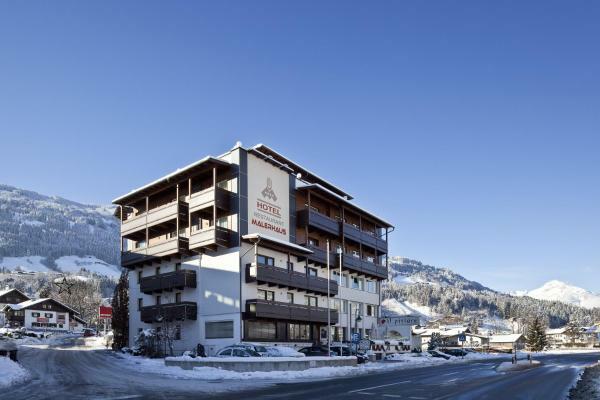 Hotel Malerhaus is about a 5-minute walk away from the centre of Fügen in the Ziller Valley. It is an ideal starting point for hikes and cycling and motorbike tours. The family-run Malerhaus is directly opposite the train station of the Zillertal Railway. The ski buses to all ski areas in the region stop directly outside. The restaurant Il Pittore serves a wide range of pizzas and other Italian dishes. Hotel Malerhaus features a state-of-the-art infrared cabin, sauna, steam bath and other wellness facilities, including a rooftop terrace. The new Erlebnistherme Zillertal (thermal spa) is about 300 metres away from the hotel.